Taxpayers have to comply with both the VAT Audit and GST Audit for the year 2017-18, But which form is applicable for VAT audit? The government has issued a notification on 5th June,2018 that the taxpayers to whom Maharashtra VAT audit is applicable have to upload the new 704 Form, but on 10th October,2018 another notification issued and government has withdrawn the New 704 Form and has made applicable the old format of Form 704 for the period April 2017 to June 2017 as per notification issued in 2013. The due date for filing form 704 is 15th January 2019. VAT Audit is applicable for whom? If the turnover of the taxpayer for the period ending on 30 June 2017 exceeds Rs 25 lakhs, then the VAT Audit is compulsory. For the year 17-18, Audit will have to be carried out for the period from April 2017 to June 2017. The most important thing in the VAT Audit? 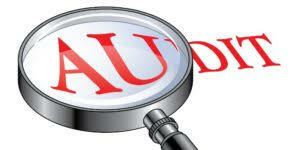 The important thing in this Audit is compliance of Law and annexure J1, J2 of VAT audit report. A dealer has to mention Supplier wise purchases and VAT on them with TIN Numbers in annexure J2.VAT authorities will levy penalty and interest if the information provided wrongly. If the taxpayer doesn’t give the TIN number of the seller, then he will not be eligible to claim the ITC. Problems the taxpayer will have to face in VAT Audit? In Annexure ‘F’ of Form 704, the taxpayer has to take different financial ratios. This time Audit period is April 2017 to June 2017, but then also, the taxpayer has to consider the period from April 2017 to March 2018 for GP Ratio and NP Ratio. In the same order, a taxpayer has to take the value of closing stock as on 31st March 2018 of Raw material, WIP, Packing material, finished goods in Form 70. The taxpayer has to give the reconciliation of sales and purchases in Annexure ‘K’, but this year, the taxpayer has to show the reconciliation of GST turnover and VAT turnover with the Annual Turnover. In the VAT Audit form, there is no place to mention the details related to Trans 1. Hence, where to mention the same is still the question. What will happen if the dealer does not file the VAT Audit report on time? If the VAT Audit report is not submitted on time, then the penalty amounting to 1/10th of total Sales Turnover is required to be paid. That means the taxpayer has to file the VAT Audit report on time. What one should learn from this? We Must mention correct information relating to sales and purchase. So many transactions were incurred to earn money by evading taxes. But in the Digital World, government departments share the information relating to taxpayers to each department. So, tax evaders can be caught on the same day. So, every taxpayer should file the audit report and return with correct information. This entry was posted in Goods and services Tax, Sales Tax and tagged GST, VAT Amnesty Scheme.